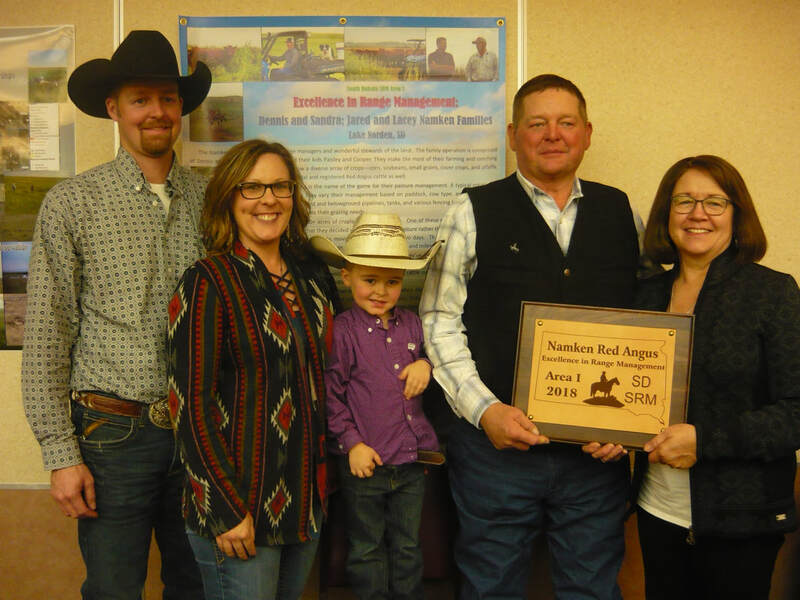 Names and qualifying information are needed for submission to the SD Section Awards Chair (Jessica Michalski) for individuals and entities that deserve state (and perhaps national recognition) for accomplishments in range management. 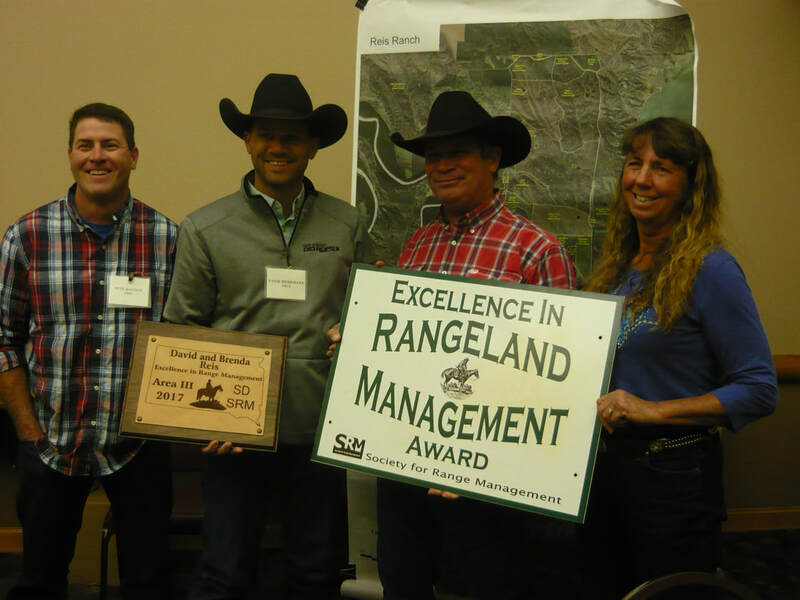 Excellence in Grazing Management - The SD Section Awards Chair is soliciting nominations for outstanding rangeland managers from throughout South Dakota. 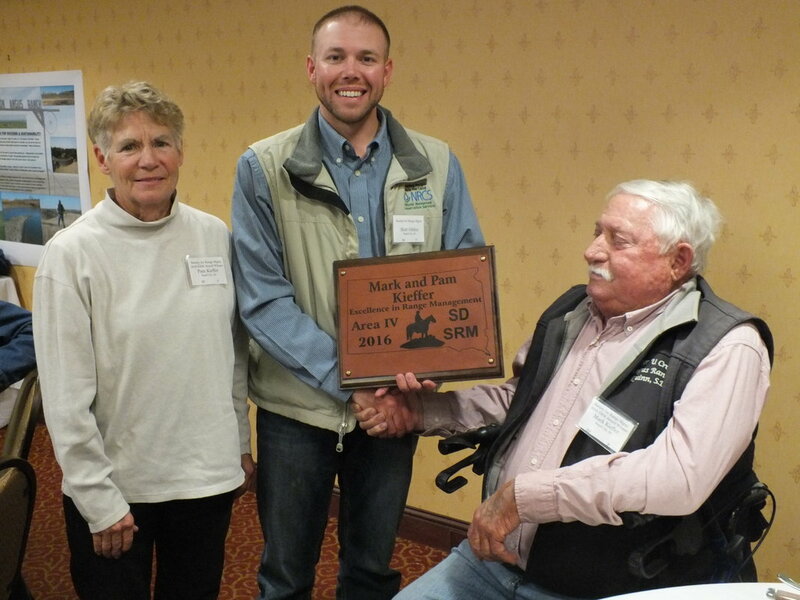 One award may be given for each of the four designated geographic areas of the state. 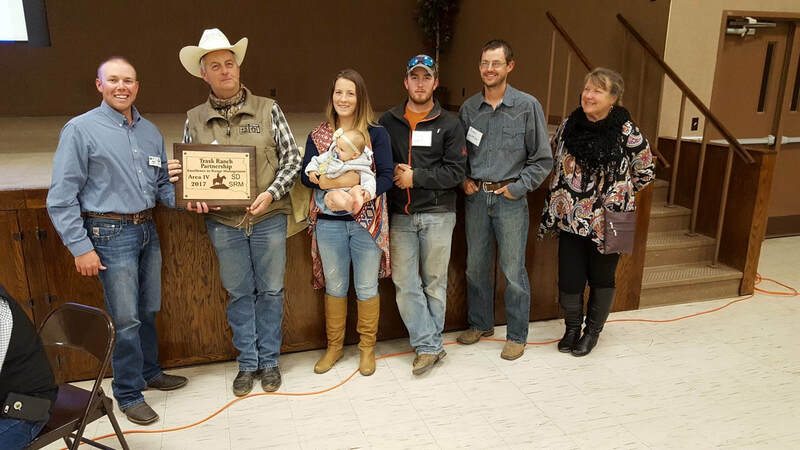 In the case of a geographic area not being represented by an award winner, recipients may be selected from other geographic areas, with the total number of award winners not to exceed four (4). Judges for this award will be appointed by the current President. 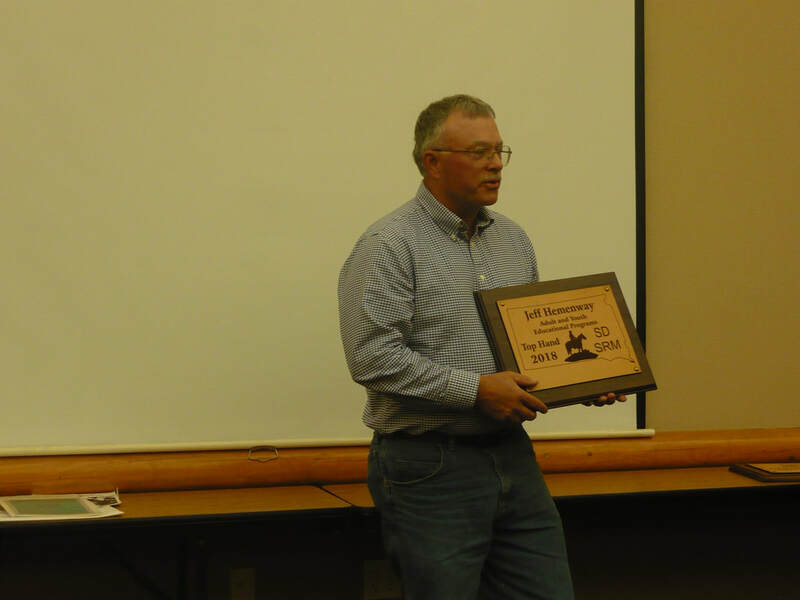 Awards will consist of a suitable engraved plaque and a yard sign. 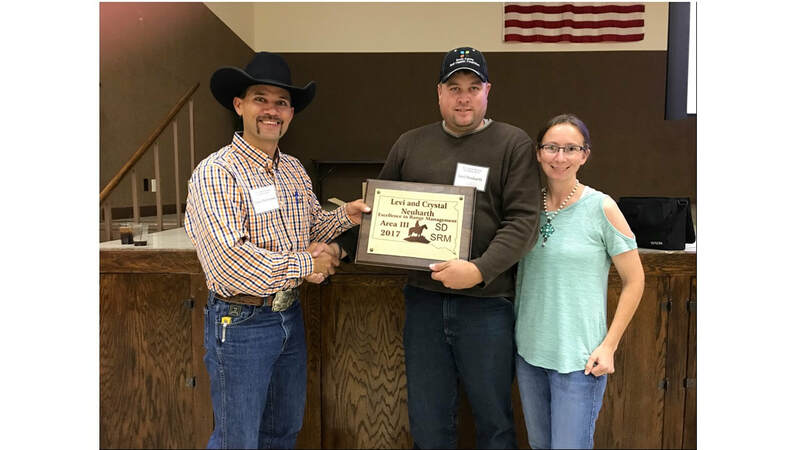 The engraved plaque will be presented at the section's annual meeting and the yard sign will be presented at the Award Winner’s tour the following summer. Please send these nominations in to Jessica Michalski by August 1st. 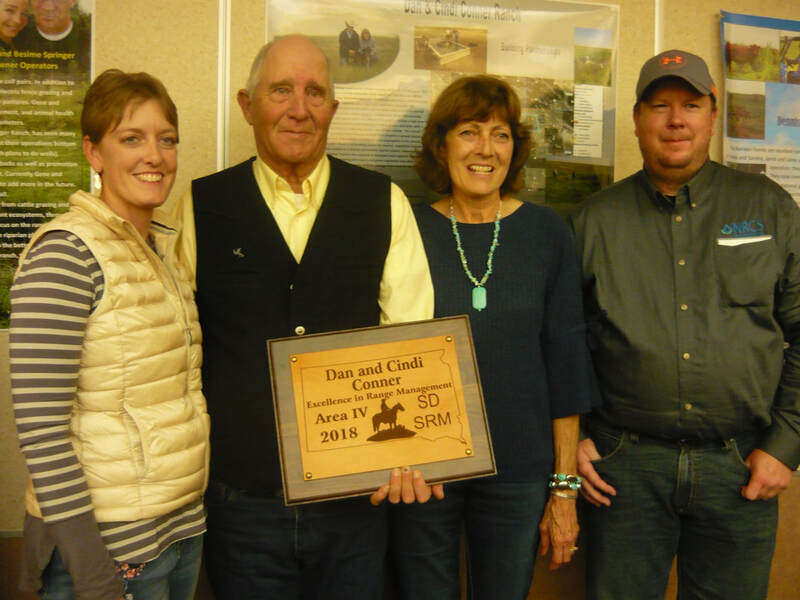 Top Hand Award - This award will be offered on an annual basis and is intended for special recognition of those who have had a major impact on South Dakota rangeland and associated resources. Nominees will be considered whose actions are above and beyond what is normally expected or because of lifetime contributions. Recipients need not be section members. 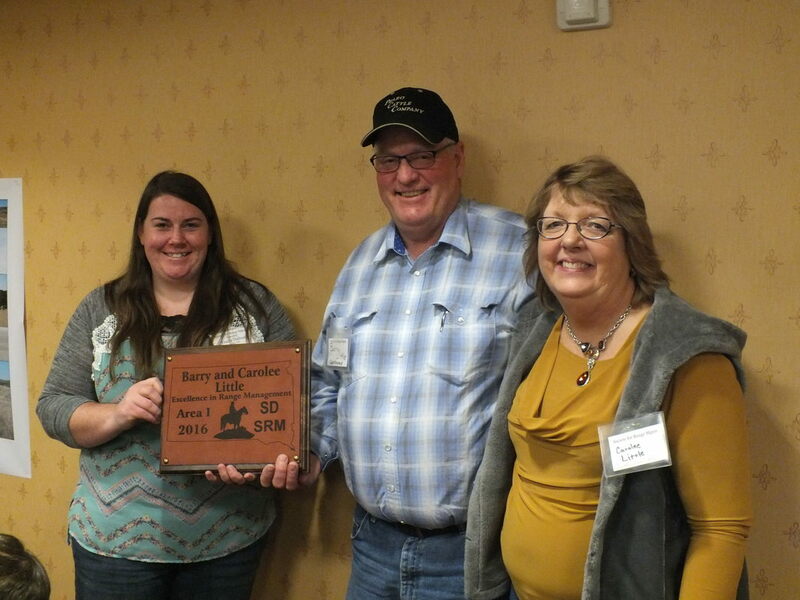 The award will consist of a suitably engraved plaque and will be presented at the section's annual meeting. Please send these nominations into Jessica Michalski on the attached form by August 1st. 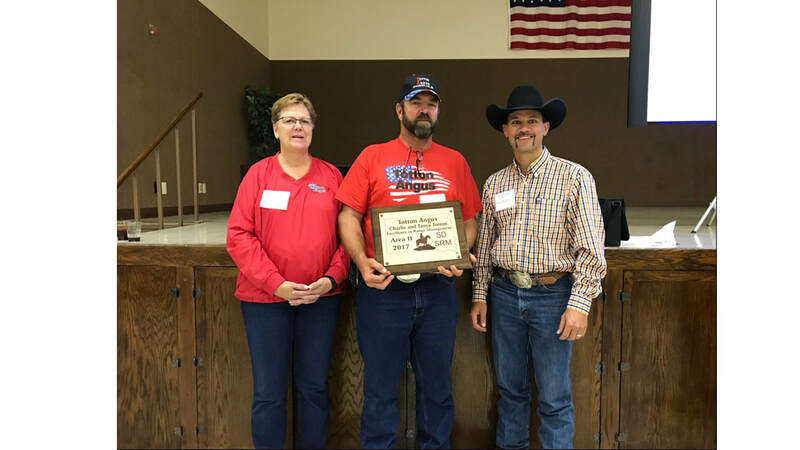 2018 Top Hand Award winners Jeff Hemenway (NRCS ret.) 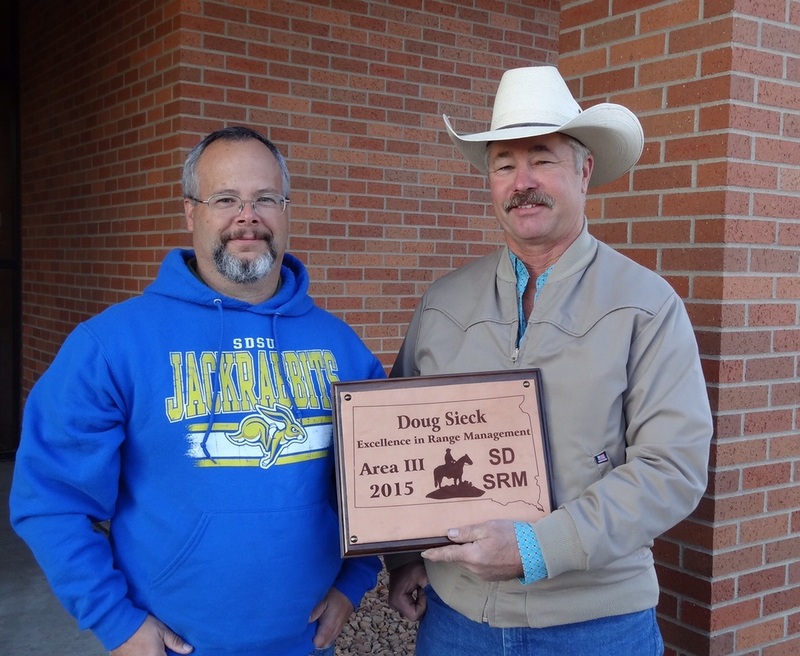 and Stan Boltz (NRCS) not pictured. 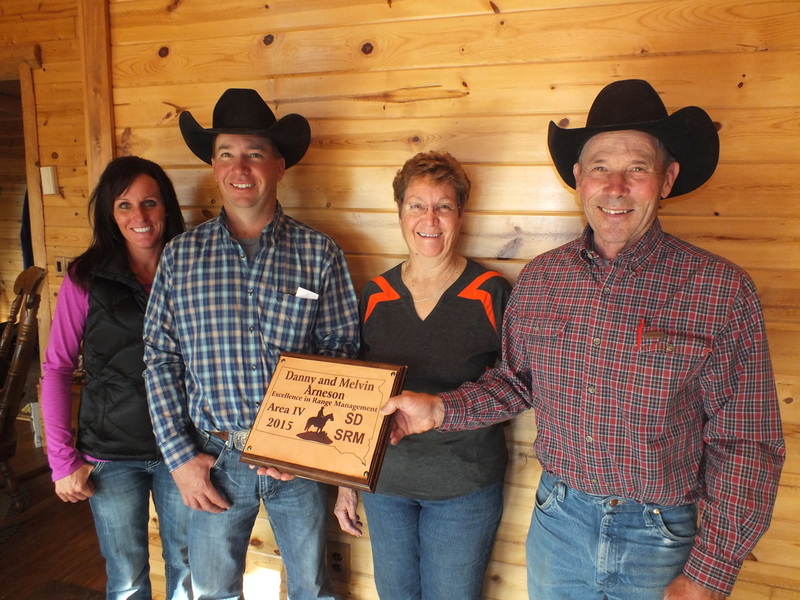 Area III Award winners Springer Family Ranch. 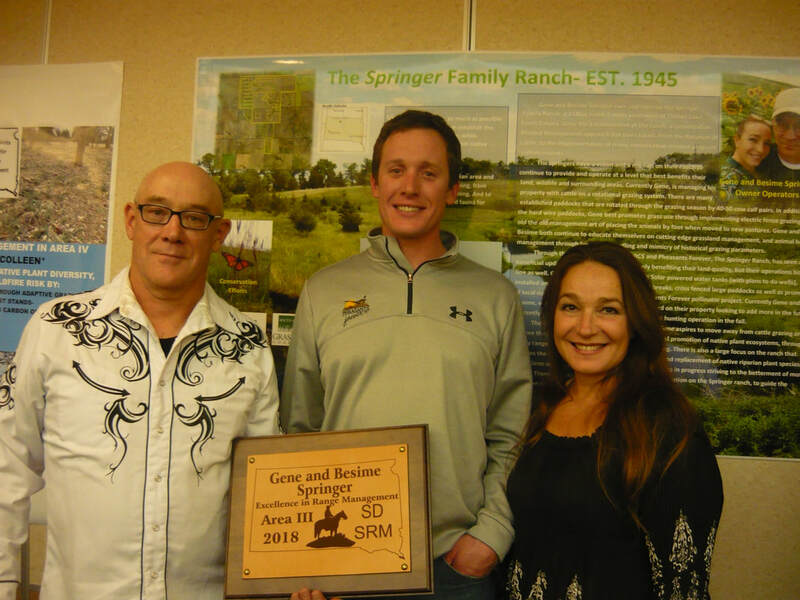 Gene Springer, Isaac Full (Pheasants Forever), and Besime Springer. 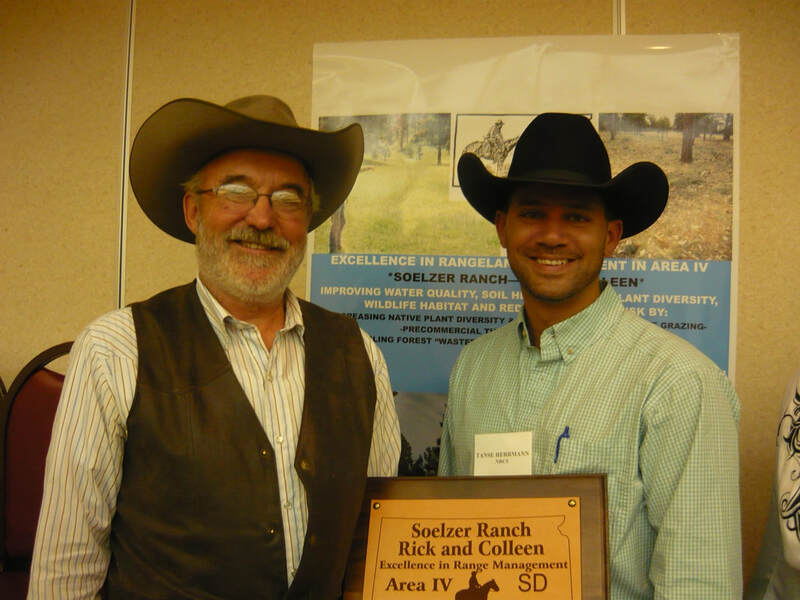 Area IV Award Winner Soelzer Ranch. 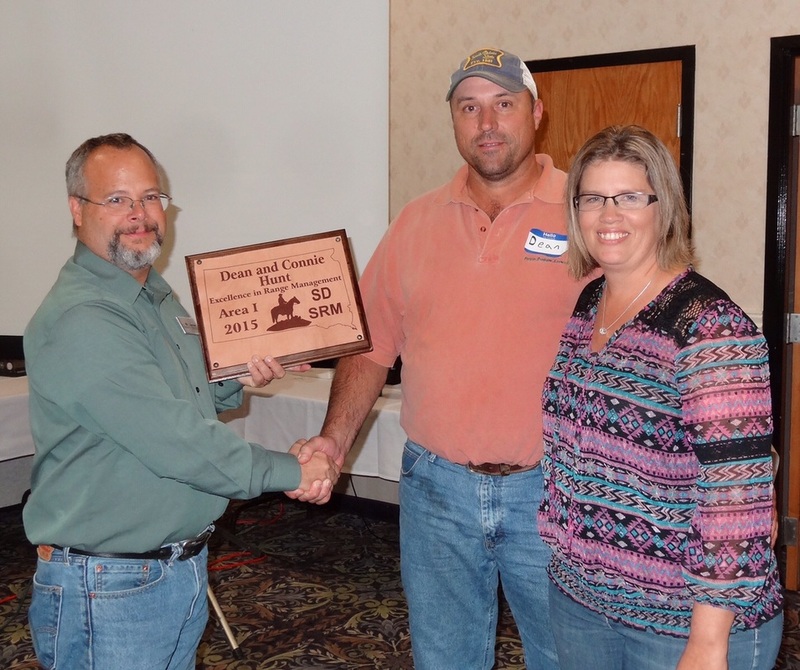 Rick Soelzer and Tanse Herrmann (NRCS), not pictured Coleen Soelzer. 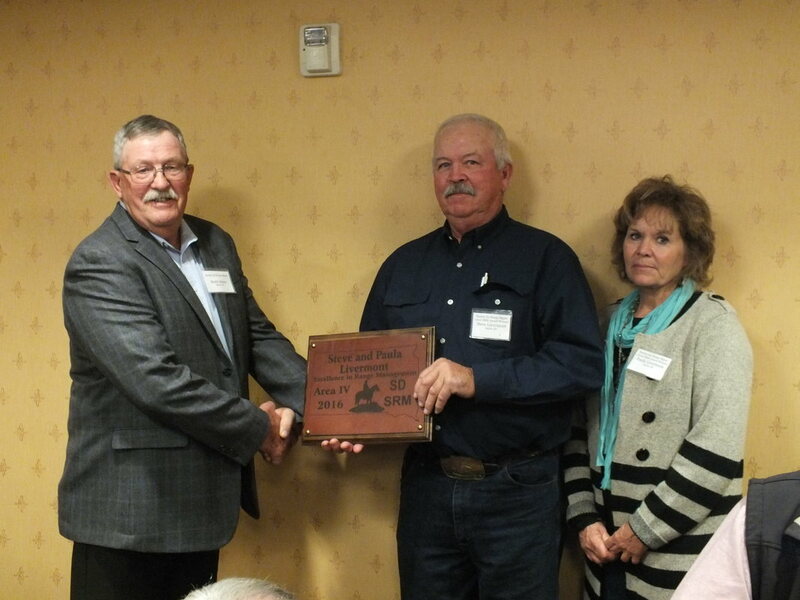 Area III Award winner Reis Ranch, Pete Bauman (SDSU), Tanse Herrmann (NRCS), David Reis, Brenda Reis. 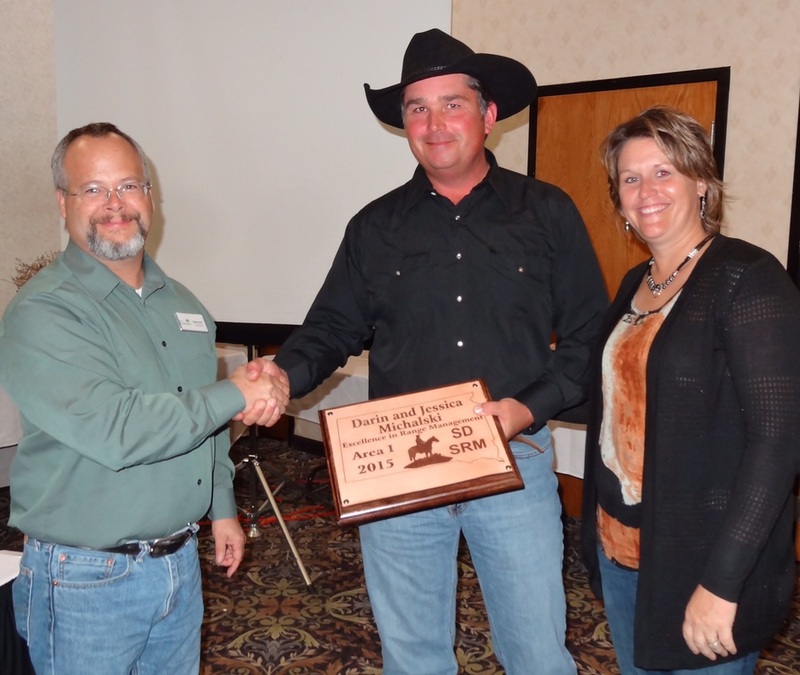 Area IV Excellence in Range Management Award Winners. 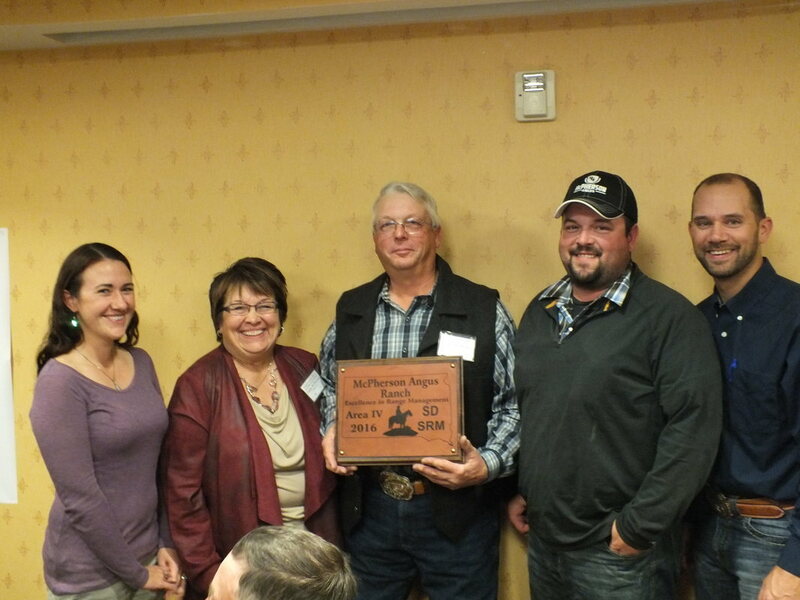 Pictured left to right: Elizabeth, Connie, Wayne, Luke McPherson, Tanse Herrmann (nominator NRCS).